What is the difference between Third Party Ownership and Third Party Influence? Third Party Ownership (“TPO”) refers to the circumstances in which a physical or legal person (who is not a football club) invests in the economic rights of a professional football player, with the likely intention of receiving a share of the value of any future transfer of that player. Third Party Influence (“TPI”) is wider and relates not just to ownership of players but outside parties who are not involved in the ownership of the club (e.g. sponsors, intermediaries or some other external third party) having an influence on the way a football club operates. How does TPO work in practice? TPO has long since been an accepted and prevalent practice in a number of countries on the South American continent as well as other European countries such as Portugal. A classic example of TPO in operation is as follows. A third party sports agency pay a promising Brazilian teenager’s club a certain sum of money for 50% of the player’s economic rights. The club believes that the player may well be worth more than that but is in dire need of finance and accepts the offer. That player turns into a star and earns a “big money” move to a European club. At the point of transfer to the European club the third party sports agency is entitled to 50% of the transfer fee, as well as 50% of any future transfer fee whilst they own 50% of the player’s economic rights. Many commentators believe that TPO undermines the integrity of football. The theory being that the transfer of players should be driven solely by the sporting/commercial considerations of the selling club, the purchasing club and the player. TPO by its very nature could involve a third party having (at the very least) an indirect involvement/influence in the consideration of whether or not the player should be sold. Added complications could arrive when the sports agency that owns a percentage of the player’s economic rights also has some (direct or indirect) involvement in the purchasing club calling into the question the integrity of the transfer and indeed the competitions that both the selling and purchasing club participate in. There are also potential policy issues with money from these transfers flowing out of the game, rather than being reinvested in football. The plethora of difficult issues that arise from TPO resulted in many countries choosing to outlaw the practice before Article 18ter of the FIFA Regulations came into effect. For example TPO was banned in England following the infamous “Carlos Tevez affair”, where a third party owner of Tevez had a right in contract to force Tevez’s club, West Ham United FC, to sell the player in the event of a suitable bid being received. Although West Ham were ultimately found to be in breach of other domestic rules (i.e. “material influence” rules – as the third party owner could force West Ham to sell the player, the third party had a material influence over the decision making of the club) at the time these events occurred in 2006, there were no rules preventing TPO in England. Following the Tevez case, the English football authorities brought in a complete ban on TPO. Notwithstanding all of the above, proponents of TPO would argue that it has significant financial advantages to clubs that participate in the practice. The inequality of arms prevalent in European football means that clubs from less wealthy leagues such as Scotland, Portugal and Holland struggle to compete with the European elite. They would argue that TPO allows them to attract a better quality of player than they could otherwise afford. Scotland is an interesting example in the sense that prior to the 2015/16 season, the Scottish FA did not prevent TPO (but had of course implemented Article 18bis of the FIFA Regulations concerning TPI). Scottish clubs were vehemently opposed to a banning of TPO in Scotland on the basis that they were operating in a similar market for players as those clubs from countries that did allow TPO. If the Scottish FA had banned TPO, Scottish clubs argued it would be more difficult for them to attract the desired players. If a player subject to a TPO arrangement had a choice between a club in Portugal, (who permitted TPO) and Scotland (who did not), then the player could only move to Portugal. Such arguments became academic following the introduction of Article 18ter of the FIFA Regulations. All national football associations are now required to implement those rules into their own national regulations. How has the ban on TPO been implemented? It has now been almost a year since the implementation of the TPO rules and we are now starting to see some cases and decisions emanating from Article 18ter of the FIFA Regulations. 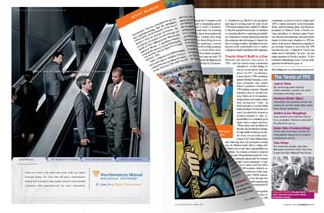 A number of cases involving TPO involve the controversial Doyen Sports Group (“Doyen”). Doyen has built up a reputation in football for being a key source of funding for football clubs facing financial difficulties. Doyen acquire economic rights from certain players, on the basis that they believe those players’ transfer value will increase. If that increase is realised, Doyen earn profits when the player transferred. Doyen have been involved in two recent cases which both pre-date Article 18ter of the FIFA Regulations, one involved the transfer of Argentinean defender Marcus Rojo from Sporting Lisbon to Manchester United, and the other involved investment in Dutch club, FC Twente. Article 18ter of the FIFA Regulations does not apply retrospectively and as such Doyen could not be found to be in breach of any existing rules. However, the most recent case involving Doyen and Belgian club FC Seraing did involve Article 18ter of the FIFA Regulations and provides a useful insight into the operation of the new rules. A case was brought before FIFA as a result of allegations that Doyen had added €300,000 to FC Seraing’s budget in exchange for 30% of some players’ economics rights. The act of investment by Doyen into FC Seraing was clearly permitted but the fact that it was offered in exchange for a percentage of economic rights of certain players caused FIFA to investigate the matter. Following that investigation and a hearing before the FIFA Disciplinary Committee, FC Seraing was found to be in breach of Articles 18bis (TPI) and 18ter (TPO). The club were sanctioned with a two year transfer ban and a fine of CHF 150,000 (c.£106,000). The transfer ban prevented the club from registered any new players for four complete and consecutive registration periods. FC Seraing appealed FIFA’s decision and also sought, together with Doyen, to challenge the FIFA Regulations on TPO in Belgian court. The scope of FC Seraing and Doyen’s appeal to the Belgian court is worthy of an article in its own right and outwith the scope of the present one. However, in short, FC Seraing and Doyen argued that Article 18ter of the FIFA Regulations in respect of TPO were disproportionate and did not protect a legitimate interest and as such sought provisory measures which included an interim ruling that 18ter of the FIFA Regulations was not lawful, pending a full reference being made to the European Court of Justice. In considering this application, the Belgian court took account of Article 18bis of the FIFA Regulations and ruled that it had proved ineffective in seeking to regulate TPO and TPI in football. As such, they indicated that a complete ban on TPO as introduced by Article 18ter of the FIFA Regulations might well be necessary. Accordingly, they denied the provisory measures sought. Following the failure of the FC Seraing and Doyen’s provisory Belgian court challenge, their appeal to FIFA’s Appeal Committee was unsuccessful. The Appeal Committee upheld the decision of FIFA’s Disciplinary Committee in its entirety. FIFA have not released the reasons for either the Disciplinary Committee or Appeal Committee so providing extensive commentary on these decisions is not possible. However, it seems entirely possible that TPO challenges are likely to continue. FC Seraing and Doyen appear be prepared to continue with the action in Belgium. Now that FIFA have taken their first action in relation to the TPO rules, it is likely that more will follow. As such, further challenges in courts all over Europe are likely. The courts have long since acknowledged the so-called “specificity of sport” and acknowledged that the EU free movement rights are not absolute. If deemed necessary and proportionate, exceptions to free movement rights can and will be permitted. The battle between FIFA and clubs involved in TPO has just began, and whilst FIFA have survived the first challenge successfully, only time will tell if their ban on TPO is here to stay and what effect it will have. 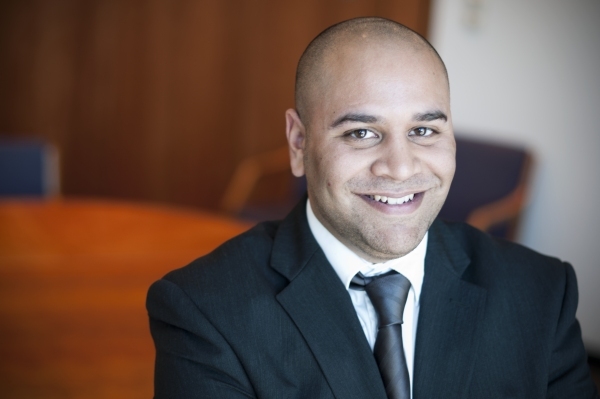 Neeraj Thomas is an Associate within the Sports Law team at Burness Paull LLP. Neeraj provides leading advice to a number of clients within the sports sector, most notably, the Scottish FA. Neeraj advises on a broad range of areas including the drafting and implementation of disciplinary regimes as well ongoing advice on additional rules and procedures. Neeraj also acts for a number of other prominent sports clients, both in and out of football.